TUCSON, Ariz. - Marilú Duque knew she didn’t want to end up deep in debt from college loans. That’s why she started to apply for scholarships. And her efforts were worth it! She got enough funding to take her all the way through graduate school. “I cried. I cried so hard. I was like, this is everything I ever wanted," says Duque. How likely is it that you’ll win scholarship cash? Fairly decent, actually. Almost half of families use scholarships for college, with scholarships and grants covering 35% of college costs. Though less than 1% of students get scholarships that cover the entire cost of tuition and room and board, every penny counts. 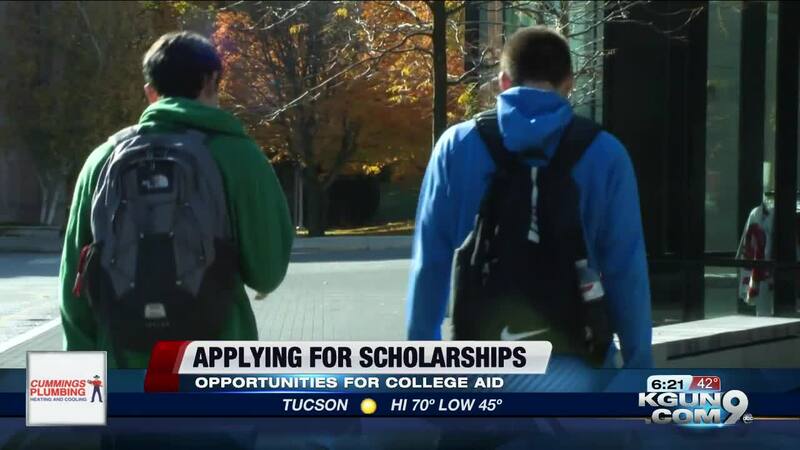 Consumer Reports says you should use these smart strategies to maximize your chances of getting scholarship money. First, look to your future school -- Colleges are one of the largest providers of grants and scholarships. "You can increase your chances of getting merit aid by applying to schools where your test scores and grades are in the top 10% of the class, helping you stand out," says Consumer Reports Money Editor, Donna Rosato. Next, be strategic about what you apply for. Spend your time searching for scholarships that match your experience and interests. Free websites like Cappex, The College Board, Fastweb or Scholarships.com let you fill out a profile to identify what’s unique about you, and then match you with potential scholarships. "National scholarships offer more money, but your odds of snagging a local one may be better because you’re likely to be competing against fewer students," says Rosato. “I started in 8th grade, most people don’t start in 8th grade," says Duque. One thing you should keep in mind is the application deadline. Keep a list of each scholarship, its requirements and its due date. Many organizations offer a lot of money. A missed deadline is definitely a missed opportunity.